HRL Madrid –Valencia –Murcia is one of the key projects of the Spanish Government’s Strategic Plan to provide high speed rail connection (300 km/h) between Madrid and the country’s main towns and cities. Maximum slope: 2.5%. 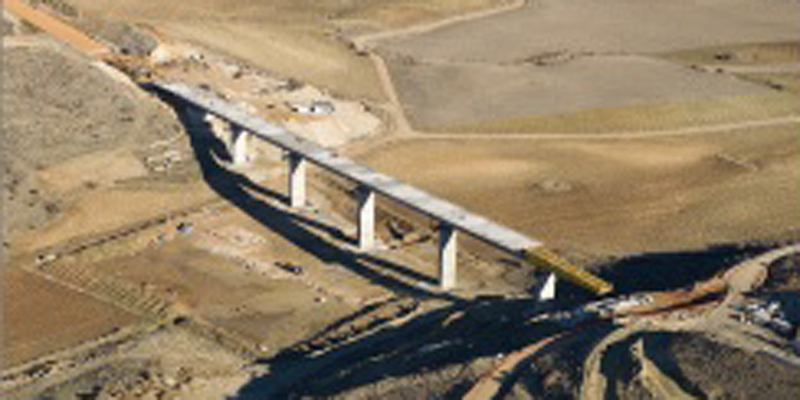 Minimum radius: 7.250 m.
Track gauge: 1.435 m. Track formation width: 14 m.
1 viaduct 320 m in length. 1 tunnel 1,362 m in length (282 m of cut-and-cover tunnel) with a 173 m2 cross section. 1 cut-and-cover tunnel of 335 m length, with a 100 m2cross section. 3 overpasses and 5 underpasses. The alignment proposed in the feasibility study ran across a karst endorheic valley. The route was modified during the design phase allowing for safety improvements.